This was a hobby of mine, to take pictures, to be creative, to see things people hadn't noticed before. But as I did this so did many, many others. In that I found my blog changing shape. I found my creative ways of raising trip money became posts with huge views, that people liked my trip reports, that people enjoyed that I shared my printables and crafts and my recipes which I have been reposting all summer, and that companies loves my writing style enough to send me free stuff to write about and take pictures of. I found that I had a little community here. Without realizing it, I had come to need that. You see, my Disney trips were not just because I loved Disney World, there was something bigger at play. My high school sweetheart, my boyfriend, my fiance, my husband (all names he had from me over the course of my blog ownership) had a lot of anxiety. Travel was a trigger for him. He had traveled to Disney as a child, and to some beach vacations and therefore he didn't have much issue with Disney Parks or various Beach trips we had taken. I wanted more than just laying on a beach and repeating, I wanted a place I could have adventures. I found that place in Disney. Don't get me wrong, I went to many beaches up and down the east coast and even got him out to the Bahamas once. I tried to get him out to Cali once and we had to change our entire trip on the spot (and on my credit card) to Disneyland to stop an all afternoon anxiety attack that ensued upon landing. In sickness and in health was something I was prepared to handle. I was here, I had my PD community, I had a great community of Disney friends, and I had my family and wonderful friends at home. I woke up one day and I realized I had been gaslighted. I realized I had been in a cycle of abuse. And the more I woke up to it, the more I realized I couldn't get out. I focused on ways to fund Disney trips while he was out of work, while he was back in school, while he was going to classes but I was doing to research papers and working full time and getting my Masters, and all the while GUILT GUILT GUILT and PAIN PAIN PAIN. I was so busy taking care and control in BOTH of our lives, so busy getting everything done, so busy giving him ALL of my sunshine that all that was shiny and beautiful inside me was dying. I was withering away because I had forgotten to save some of my sunshine for myself. When I got divorced, I realized that I could not continue my life as I once had. That was when Monique of Only One Mark Inc took over the site. She was wonderful and Picturing Disney flourished for the 3 years she was the owner. OOMI has ballooned and become her full time work (and she is incredible!!! she designed my housewarming invitations, engagement announcements, and wedding invites!!). Over that time that Monique was the owner and manager of PD, I found my sunshine. What is incredible about it was that I thought this whole time that it was important that I make my own sunshine, that I find a way to grow and do it within my own soul. Then I met Jason. I met the man who has redefined what the saying "You are my sunshine, my only sunshine" means in my world. I have never felt more loved and more overwhelmed with happiness than I do every single time I meet his eyes. I have always wondered about soulmates, about what love truly is, I questioned everything after my divorce. I never questioned Jason. He never questioned me. We met and that is all there is to it. We were never going to be whole again without each other. Our lives have been filled with love and adventures since the moment we met and I have never in my life been so excited to grow old. I found my happy place and it has been wonderful. We have a family together, we got engaged in Disney World. We are going to be married next month! And when Monique asked me to manage Picturing Disney and take the reigns back, I was so happy to take this step of my journey with my family! 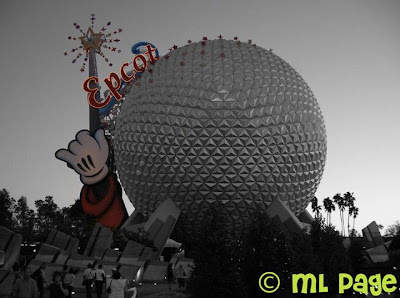 We shared the fun in doing Disney Publishing reviews. My youngest is our LeSportSac backpack reviewer extraordinaire, and I found a way to come full circle. I found a way to make peace. And in the year that I have been running the site again I have had a wonderful time. In my time managing the site, I have also found someone who truly loves this site, who has worked with us for years, and who has been running her own site Kid Congeniality with heart and compassion that PD has always craved. 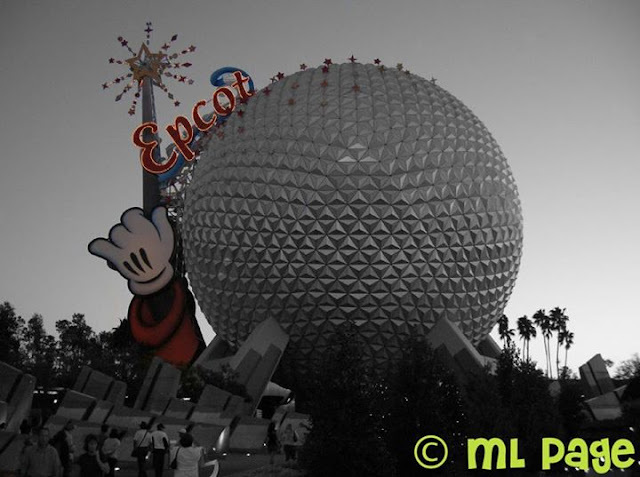 I could not be happier to introduce Michele as the new owner of Picturing Disney. She has a breadth of social media knowledge that I could only dream of, she lives in the greatest city in the world, she loves all things Disney, and we share the same ideals of love, harmony, and sprinkling pixie dust wherever we go. To celebrate this lovely happenstance we are going to run a little giveaway through Picturing Disney on instagram. Featuring our lovely account, Kid Congeniality, and my StepMommy Blog: StepMusings, you will be able to win a wonderful prize pack from LeSportSac and Disney Publishing, just in time for a spooktacularly special October! 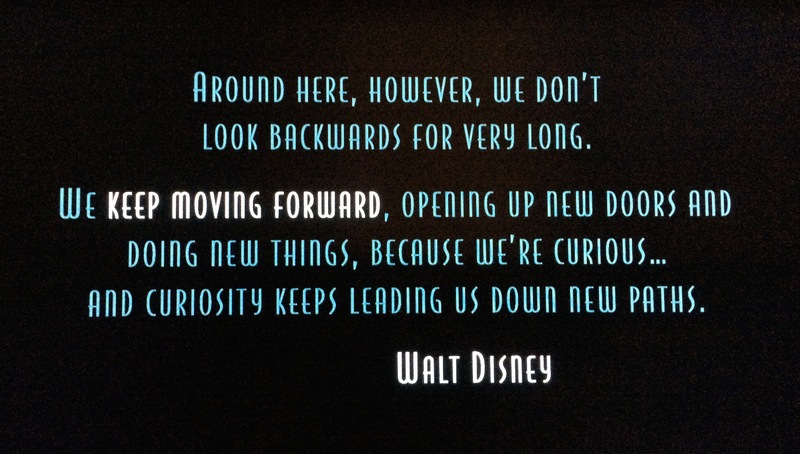 I urge you, like Walt (and myself now too), to keep moving forward! I will be around from time to time, but lets all give Michele the warmest of welcomes as Picturing Disney embarks upon a new and most exciting adventure!